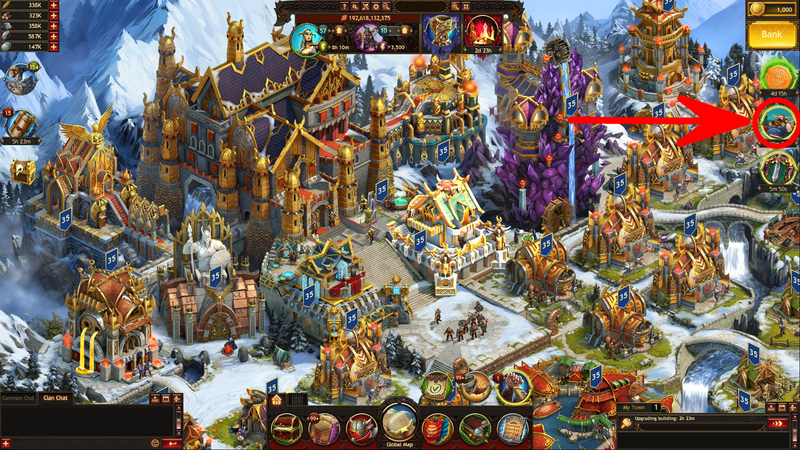 Boosts improve various game processes. The Boosts window displays which boosts are currently activated and for how long. 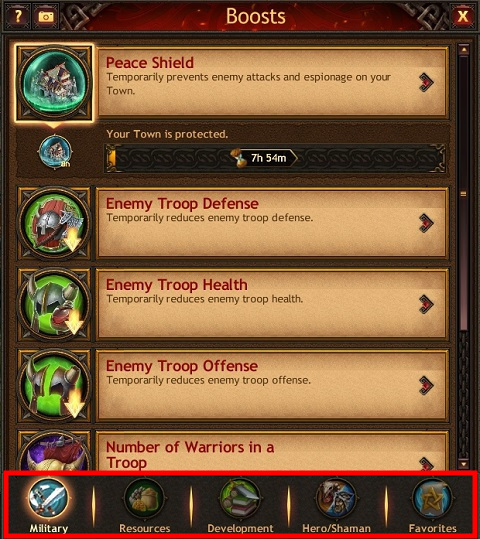 There are five tabs in the Boosts window: Military, Resources, Development, Hero/Shaman, and Favorites. To get quick access to boosts and Aesir, add them to Favorites.